I don’t like cabbage. Frankly, I think it stinks. But I do LOVE good tomato sauce, meat balls, meat loaf, etc. 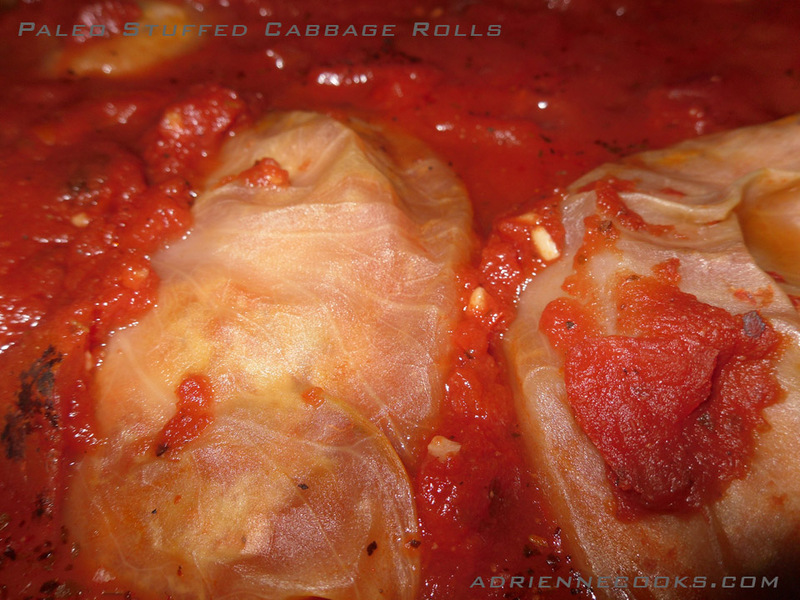 So forever now I’ve been thinking about trying stuffed cabbage or cabbage rolls. I mean how cabbagey can they be when you stuff them full of delightfully non-cabbagey things and drench them in super flavorful sauce, right? Right! I’ve got something good here. 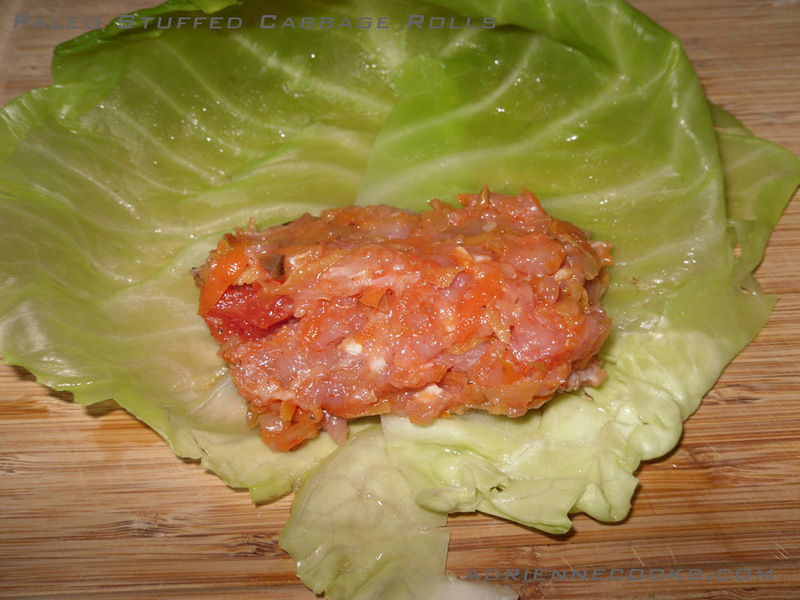 My husband doesn’t like cabbage either and we both ate and enjoyed these. I hope you do too (even if you DO like cabbage, weirdo). Core your head of cabbage and boil half a pot (your biggest pot) of water with a little salt. 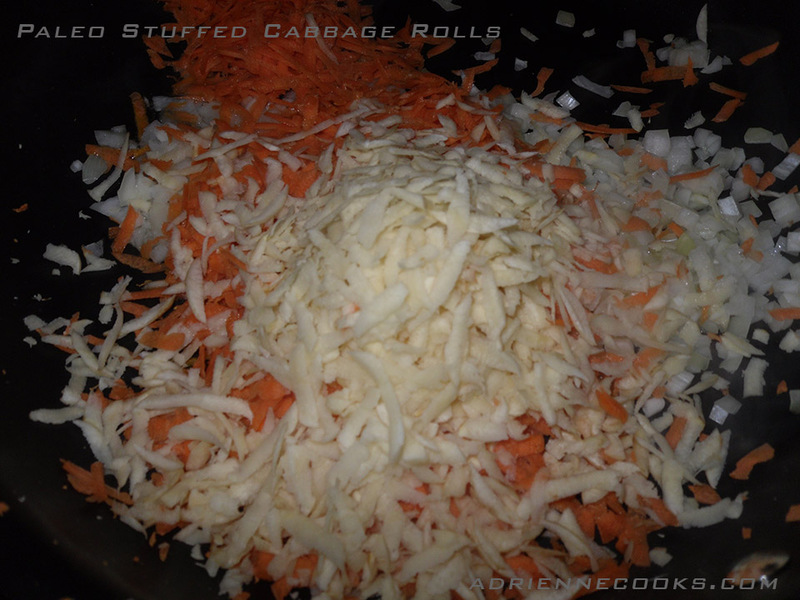 I find the salt helps tenderize the cabbage so it rolls easily. 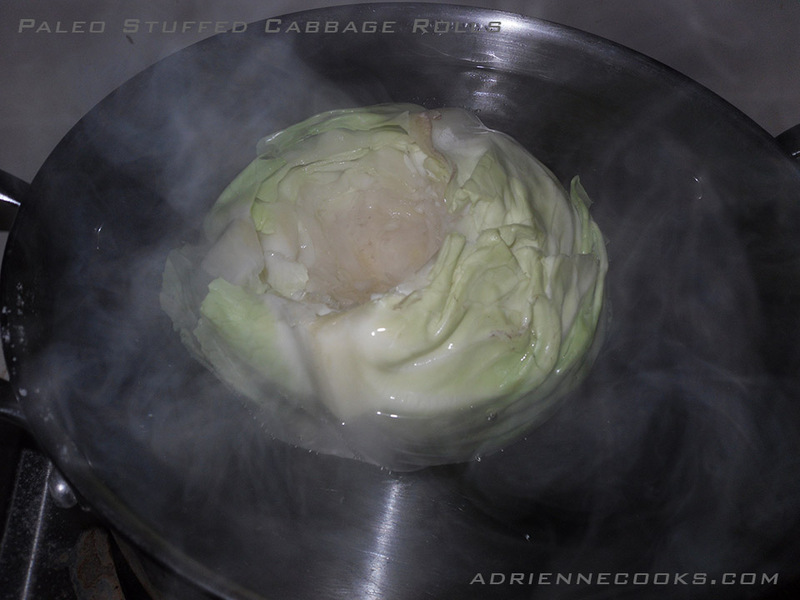 When the water comes to a boil turn off the burner, submerge the cabbage cut side up and place the lid on. I leave it over the heat (the now cooling burner) for 15 minutes. Sauté onion, carrot, garlic, and parsnip until soft. Season with salt, pepper and Italian seasoning to taste. 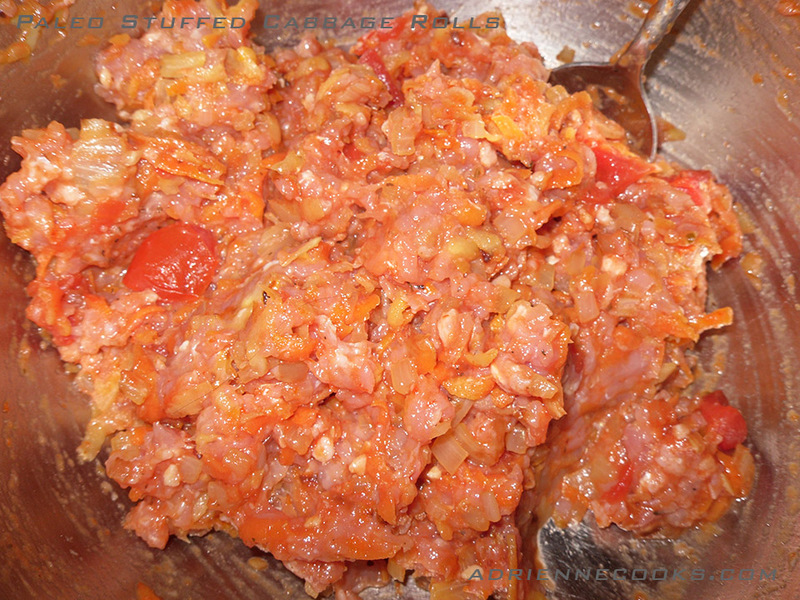 Mix in the (raw) meat and one cup of your tomato sauce. Drain your cabbage. Pull off large leaves, cut out the large vein — see photo. 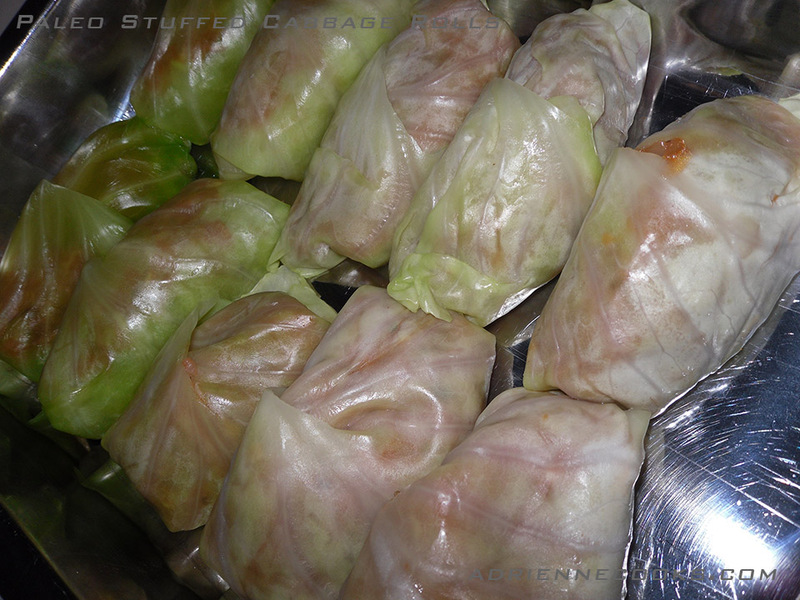 Roll 1/4 cup of filling in each leaf (depending on the size of your leaf) and place in a 9×13 baking dish. Pour the rest of your sauce on top and pop in the oven at 350 degrees for 1 hour. These are like mini Italian meatloaves with extra veggies, really good! 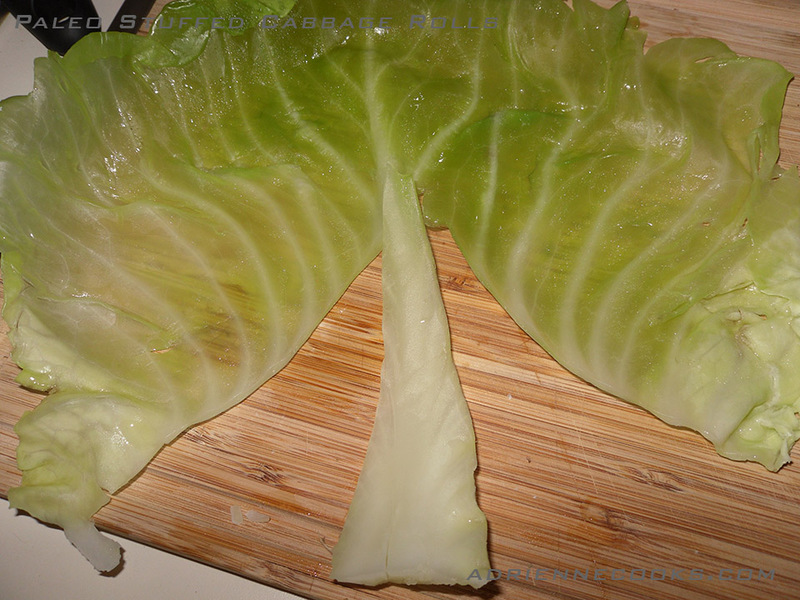 I really dislike cabbage and I can eat these all day. I was really surprised that I love this recipe so much. You can freeze these before you cover them with sauce. Just thaw and resume the baking directions.